IF YOU’RE A TEACHER, you’ll want to read this. Together, GradeCam Corp., and Califone International, Inc., have provided a solution to nix piles of paperwork and grading by hand. 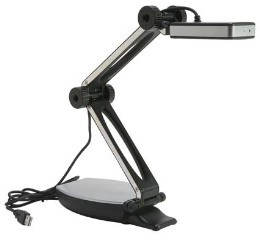 Combining GradeCam with the Diggiditto Smart Document Camera from Califone, educators can scan and grade multiple-choice tests and other assignments instantly, allowing for immediate assessment of student knowledge. With access to real-time data, teachers can see students’ learning in progress, and modify instruction to meet students’ learning needs. So easy, you can gather data with a wave of your hand. Learn more here.